Sometimes when you're browsing through charity shops for comics you might come across an unusual comics related item. I did just that when I found the Mickey Mouse Colorforms Set (or 'Colourforms', as it would be called here) just over a year ago. 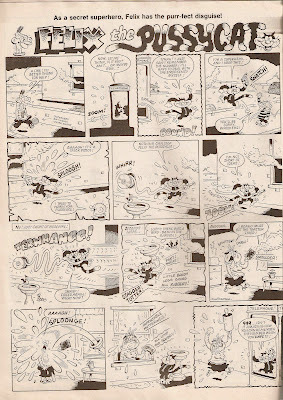 Mickey Mouse, although more known as a movie star, is also a very successful comics character, which is why I thought it suitable to show this here. 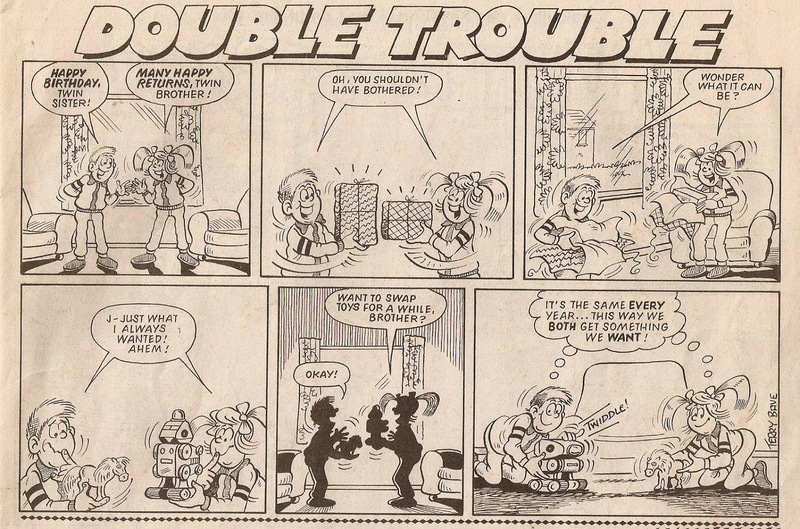 A typical set-up, except Daisy's arms are on the wrong way round! So, what are colourforms? Basically they're thin pieces of coloured plastic with various shapes on them, such as a trumpet, a ring and some candles. The characters, with the exception of Pluto, are made up of 4 - 5 different parts - the legs, the arms and the body. As you can see from the photo above, most of my characters are missing a limb or two. The characters and their toys. Colourforms are great fun. As advertised on the box, not glue or paste is needed; they stick onto the background "like magic"! You can make just about any set-up you like, and if you had a camera you could probably make a short animation! I have no idea when this set was made. Going by what this website has I'd assume it was produced in the 70's, but I can't be sure. All in all though, it's great fun, I'm sure these sets were very popular with kids. 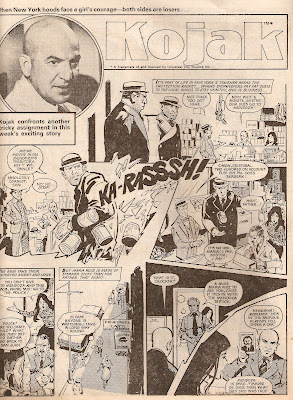 This week we head back in the comic time machine to 1978, to pick up the third issue of Target comic, a poorly produced comic published by Polystyle Publications. 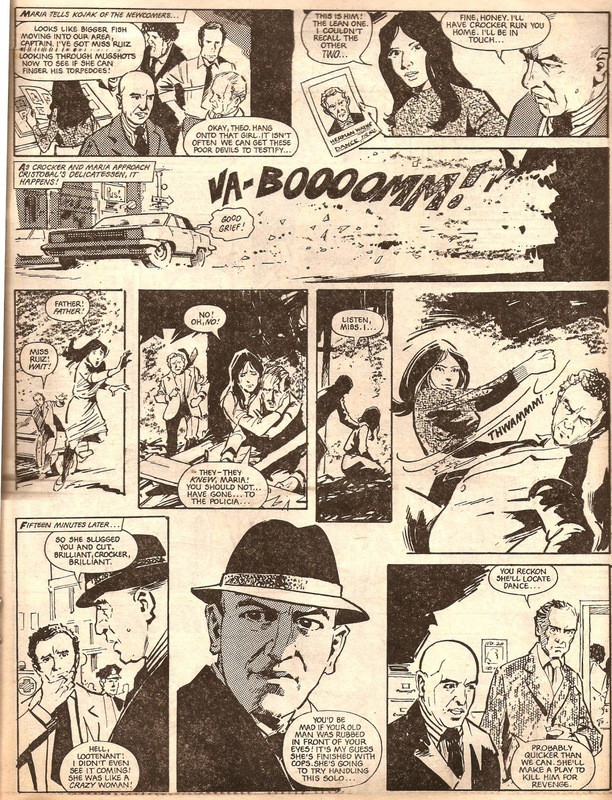 It cost 10p, which wasn't cheap, but you did get five pages of (just-about) full colour, plus the strips were based on popular television shows, so the licence might have pushed up the price. I've already covered an issue of Target before (which you can read here), so I'll try to show strips here that I didn't show last time. 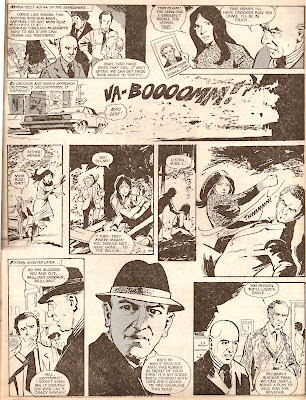 That means I'll start with the strip Hazell, which was a new television programme at the time of this comics release, but the strip is well drawn and written, much better than other strips in the comic. 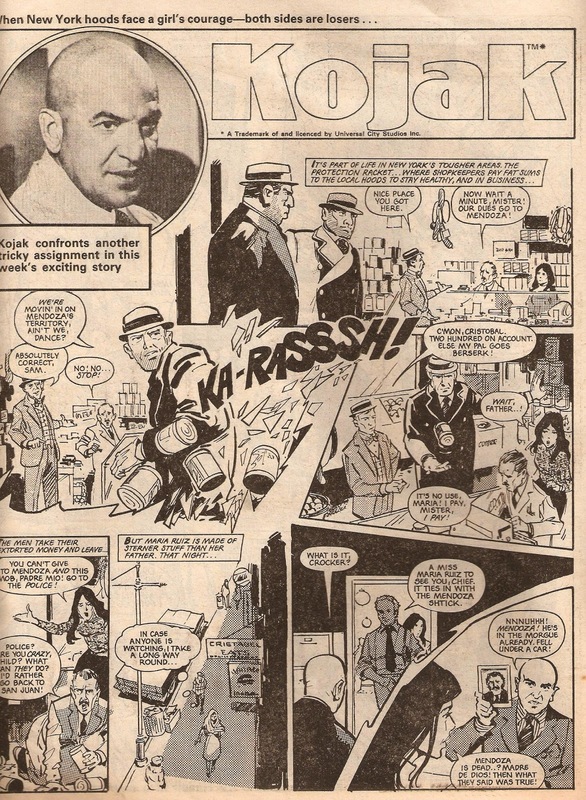 I showed this last time, but I do like the artwork on Kojak so I'll show it again. 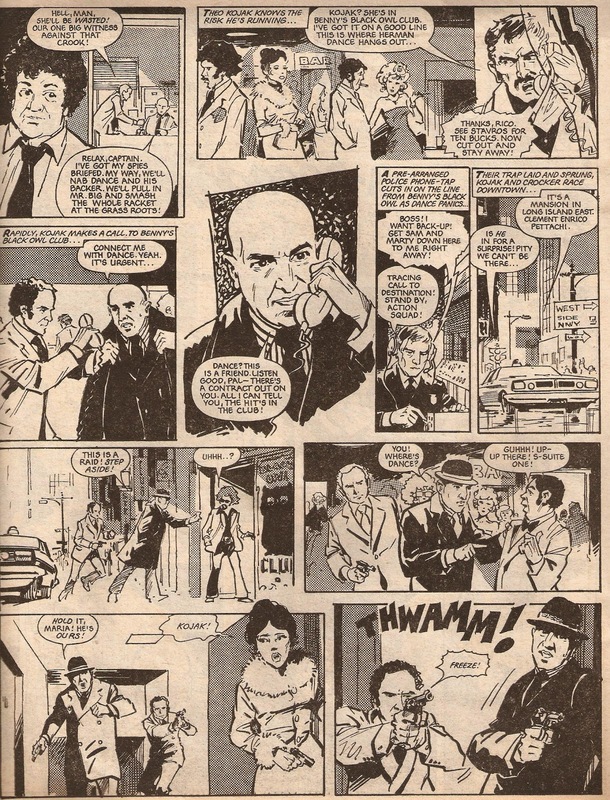 Most strips in British comics were no longer than two pages long a week, and Kojak's strip is the longest in the comic, a grand four pages of him! The artist is Jon Davis. Cannon In Danger Rig is the shortest strip in Target, at just two pages long it is quick compared to every other story in the comic. 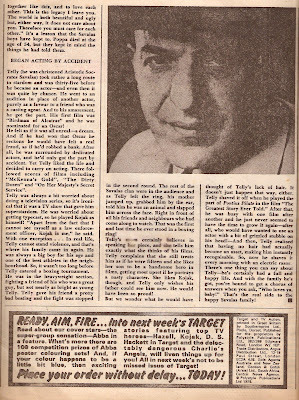 This was based on the television series Cannon, which had actually ended over two years earlier, but I suppose they must have seen it as a suitable programme to use, after all it did run for a good five years. 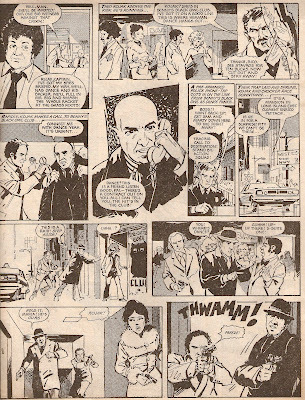 This comic ends with a two-page article about Kojak star Telly Savalas. I was browsing around Real Groovy (an excellent store located in central Auckland) when I came across this book about Girl, "The sister comic to Eagle". I've read similar books about Eagle, but I wasn't aware they'd also published one on Girl. The book starts off with a short introduction by Steve Holland, which supplies a very quick and brief summary on the history of Girl, before diving straight into the strips and articles. 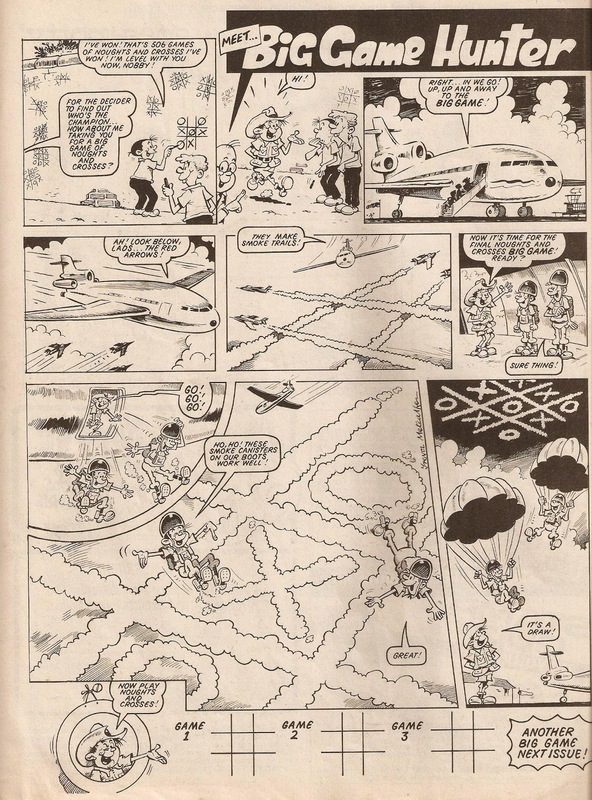 As with the Eagle books the rest of the publication is made up of pages pulled from the original comics. There is a good selection of articles, photographs and strips, spread out across 144 pages. 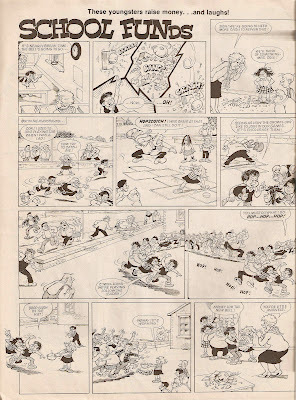 My personal favourite strip has to be Lettice Leefe, which comes from the hands of Captain Pugwash creator John Ryan. You can get this book brand new for £14.99, or used for as low as one penny over on amazon.co.uk! 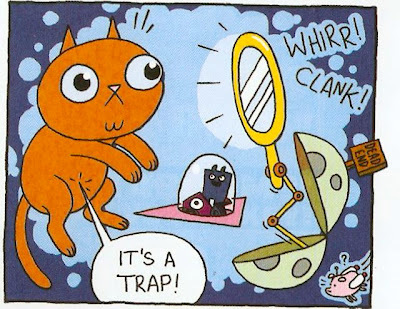 If you are or were a fan of Girl, it's a great book with a great selection of strips! This week's Phoenix brings with it the return of one of its greatest strips - Star Cat, illustrated by James Turner. 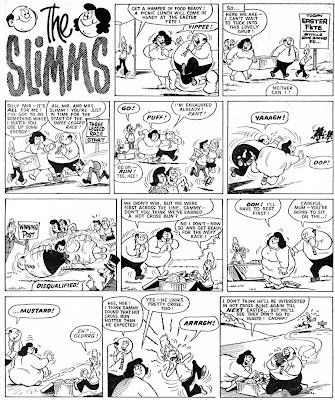 If I remember correctly, this is the comic's second most popular strip, closely following Jamie Smart's Bunny Vs. Monkey. Here is a one-panel preview! 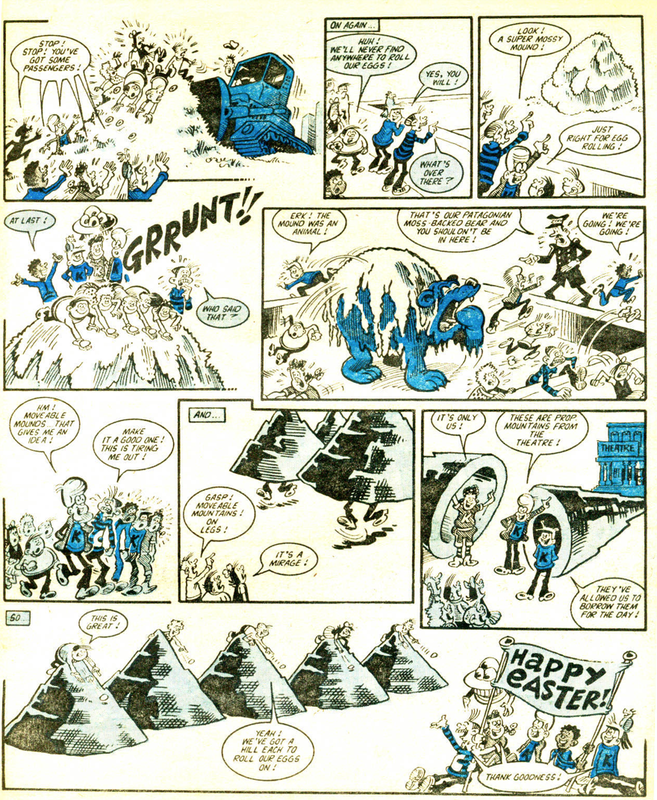 This strip also introduces Haggis and Quail, which has clearly been inspired by Indiana Jones. Heres another one panel preview! That's all I'm going to be showing you from this issue, to read any more you'll have to grab yourself a copy as soon as possible! 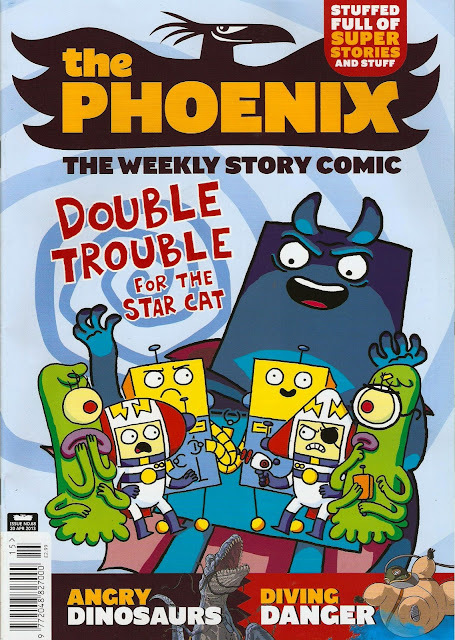 Phoenix issue #68, available from selected stores for £2.99. I was reading a new Buster comic I got the other day, when I came across the above advertisement for a Buster jogging suit. 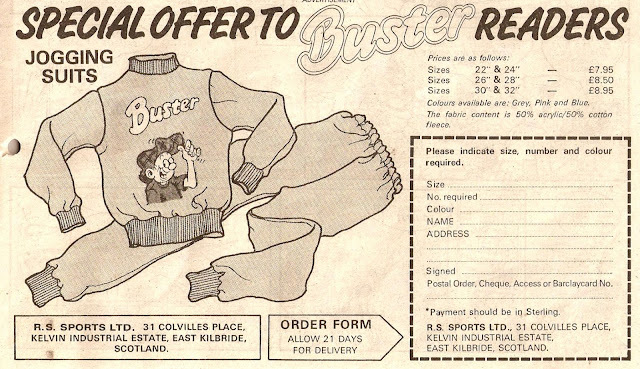 The suit, which was available in grey, pink and blue, cost between £7.95 and £8.95, and featured Buster on the front. 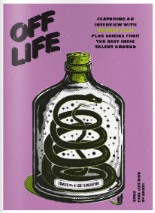 I don't know if any of these still survive, and if they do there probably isn't very many, but has anybody ever seen one or even own one long ago? Buster has been shown jogging many times, but as far as I know he was never shown wearing one of these suits. 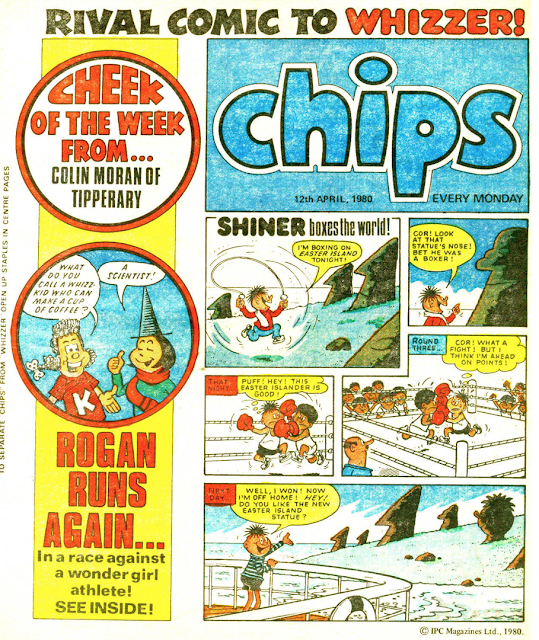 This Week In... 1987 - Nipper! 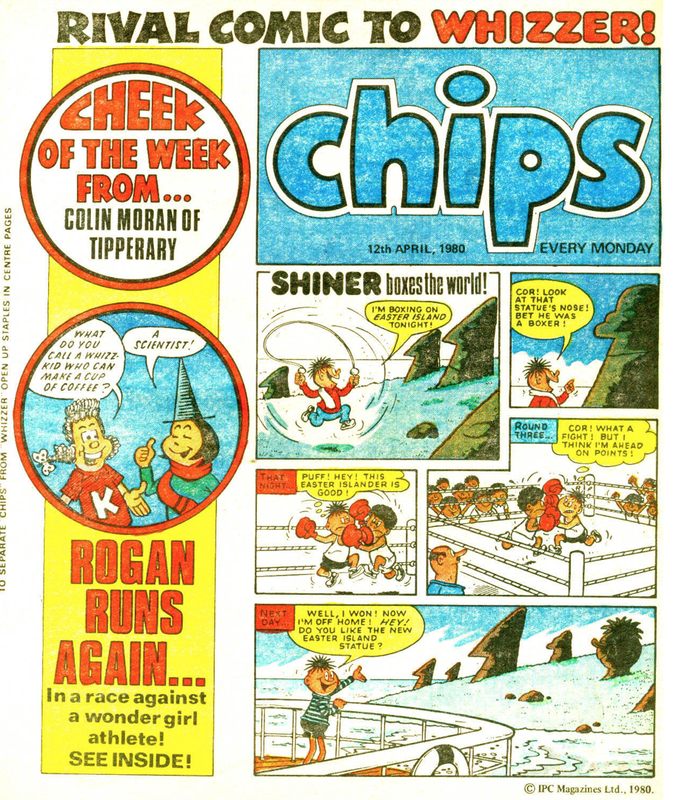 This week back in 1987 saw the first full-size Nipper! Until this point, Nipper had been, well, a nipper - printed on A5 paper. 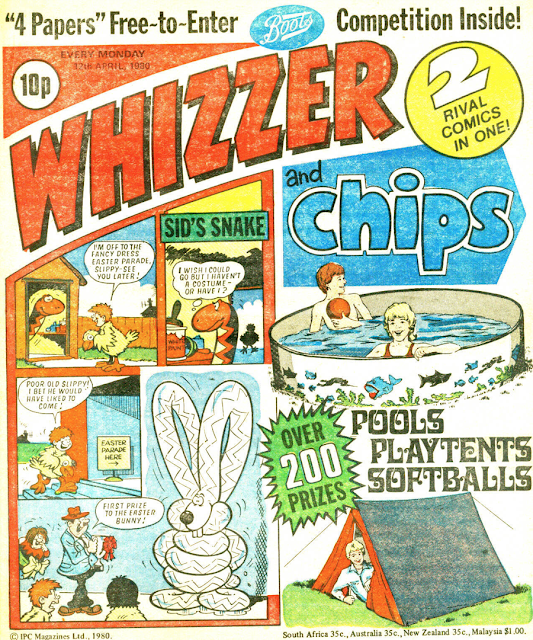 However, issue six changed all that, with it now appearing the same size as its companions - Buster and Whizzer and Chips. 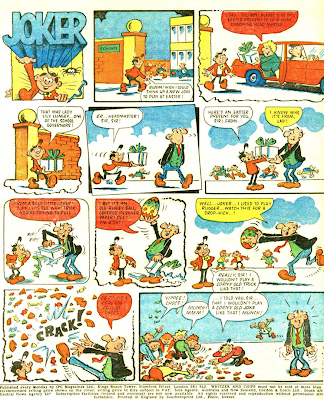 The first strip was of course based around the comic's main star - Nipper, illustrated by Gordon Bell. This was followed up by one of Mike Lacey's two contributions, the rather amazing Strong-Arm! 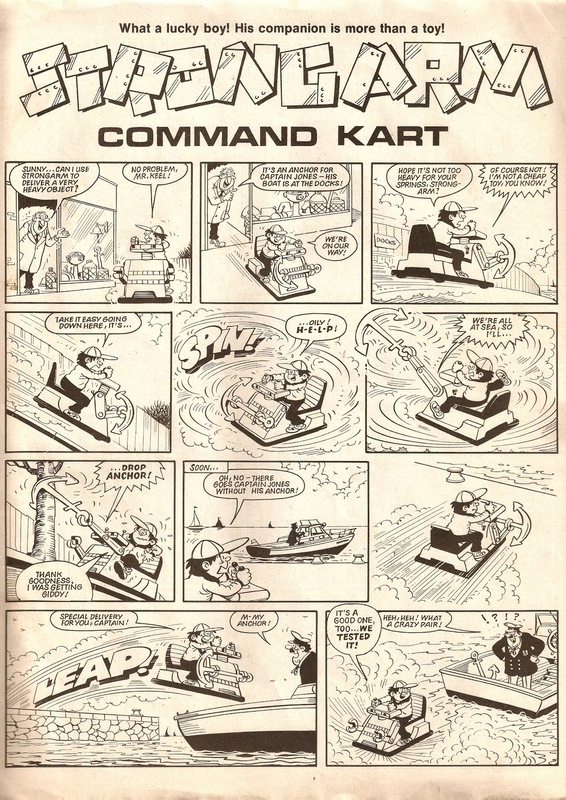 Wouldn't it be great fun to have a command kart like this?! 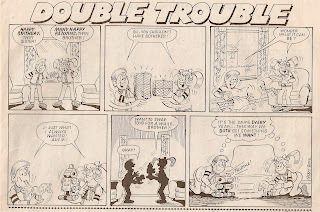 Terry Bave was also to be found multiple times in the pages of Nipper, illustrating Double Trouble, a strip that would continue after Nipper for many years. 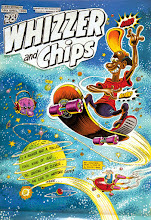 The two twins did eventually become best friends - on the back cover of the last ever issue of Buster. 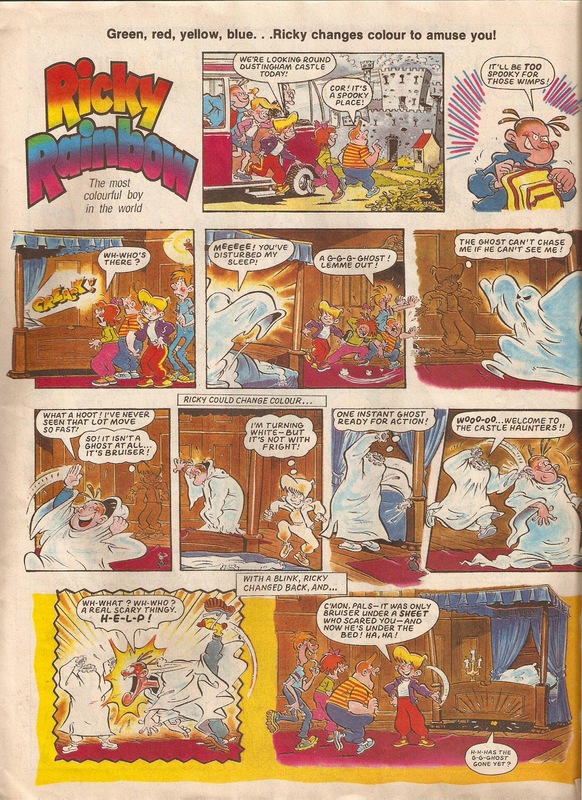 Another popular character was Ricky Rainbow, illustrated by the soon-to-become Buster artist Jimmy Hansen. Obviously, since this strip was about a boy who could change colour, the strip had to appear in colour, and whoever was in charge of that did a smashing job. 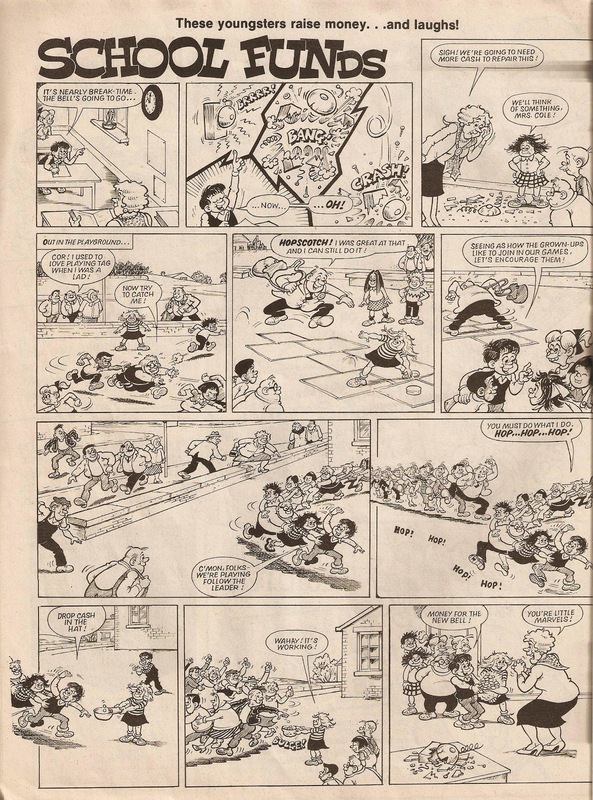 Vic Neill illustrated School Funds, a school in such bad shape that it constantly needed money for repairs, and was relying on the kids to get those funds. 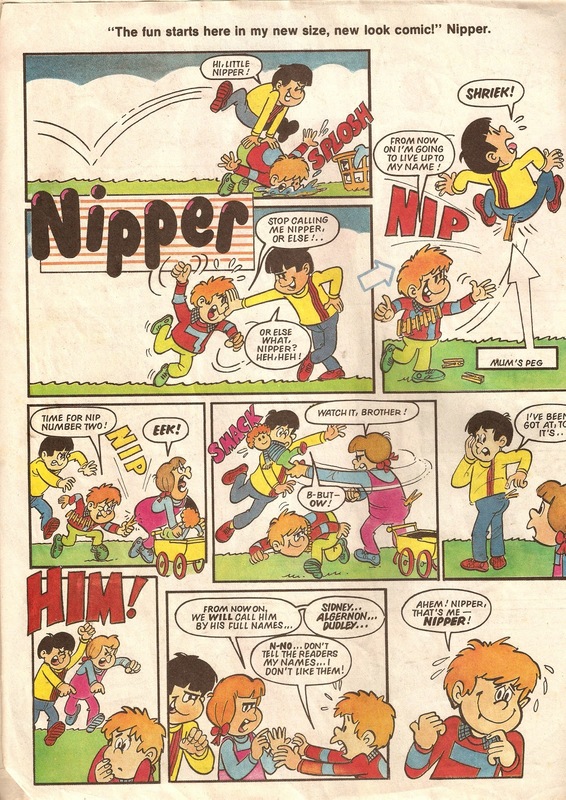 Tom Paterson was also a part of the Nipper line-up, illustrating the hilarious adventures of a young lad and his pyjama case, a mixture which could save the world... or not. 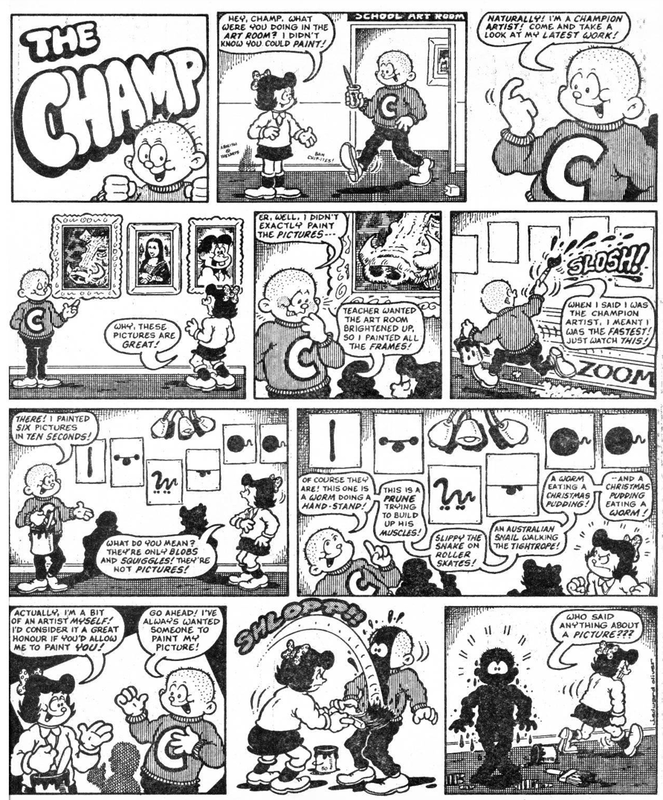 The title, Felix the Pussycat, is of course a spin-off of Felix the Cat, so there's laughs all round with this strip. 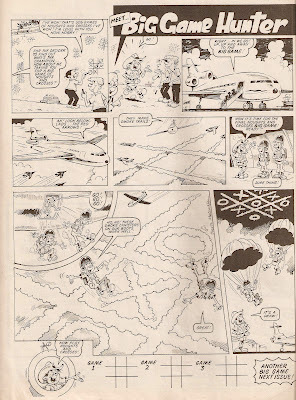 Another top-class artist to join in the fun was Trevor Metcalfe, who illustrated Big Game Hunter, a great story about a young lad who would go too far to organise a game for his friends! 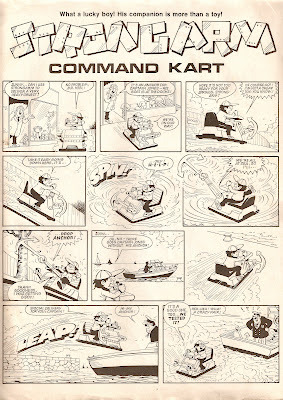 And finally, Sid Burgon's strip Roy's Toys appears on the back cover. This superbly illustrated strip showed the adventures some toys got up to when nobody was around - a very similar idea to Toy Story in fact! 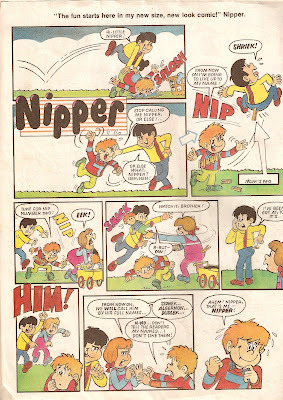 Despite it's short run Nipper had an amazing line-up of artists, and I've only mentioned a few of them here. I suppose that this proves that it's not just quality that's the key to a successful comic, but there is something else as well. 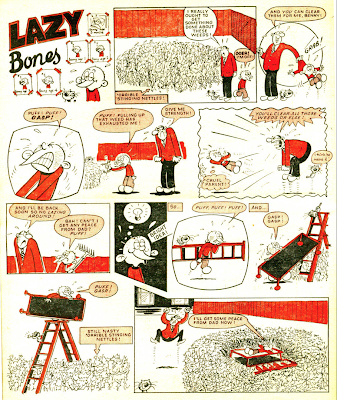 In 1997 and 1998, to tie in with the 60th anniversary of The Dandy and The Beano, D C Thomson produced two 'Legend Of' books, one for each comic. The Dandy's book came first of course, and there were two characters that they could have gone with (in my opinion) - the original cover star Korky the Cat or Desperate Dan. 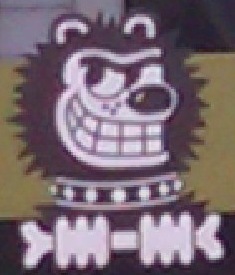 Rightly so, they chose the latter, and The Legend Of Desperate Dan was born. 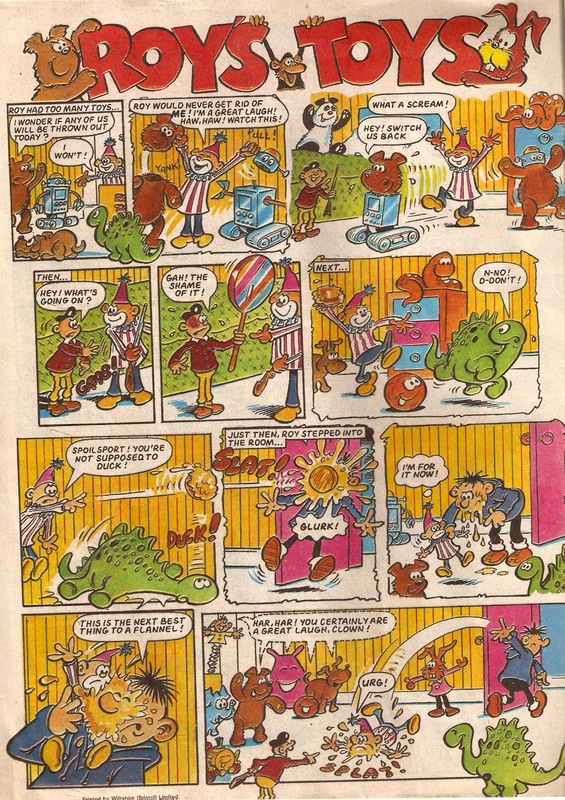 A few months after the Dandy was created, the Beano hit the shelves, and a few months after Desperate Dan's book, Lord Snooty's was released! 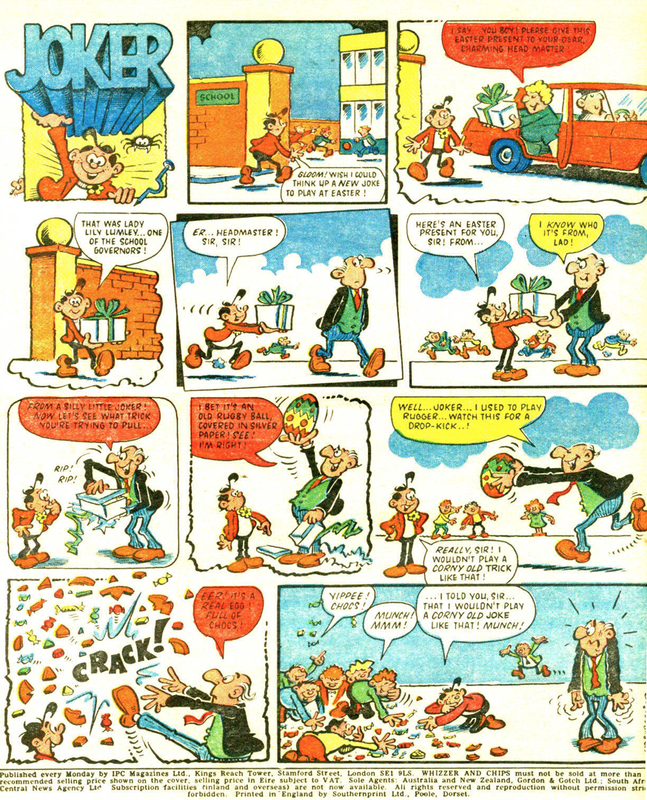 Unlike for the Dandy there was no other character they could have chosen from The Beano, all the other original characters had phased out over time. 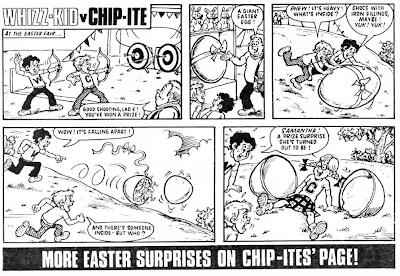 One option could have been Dennis the Menace, but he hadn't been in the Beano since the beginning (if you didn't already know this, he joined in issue #452, dated 17th March 1951). 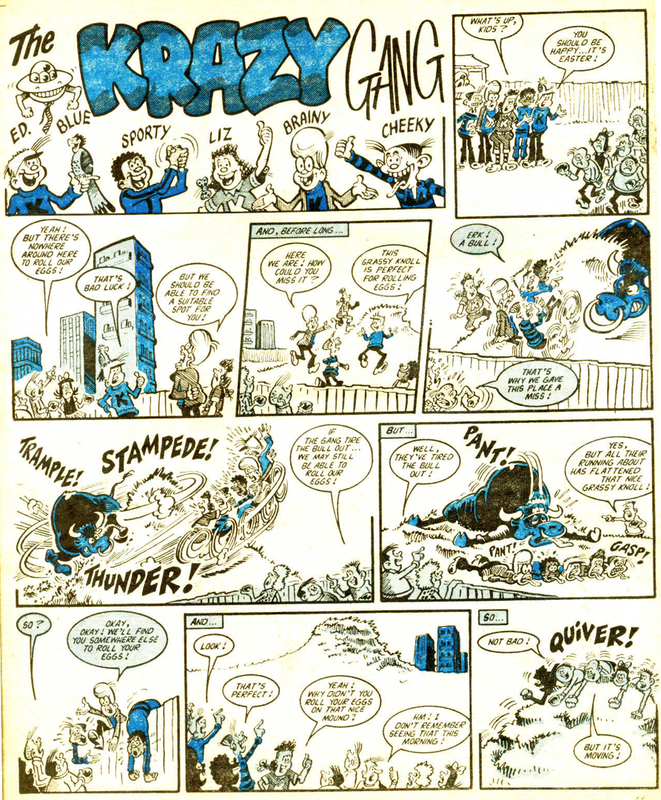 Lord Snooty and his pals visit the Beano office. Both books follow the same format. 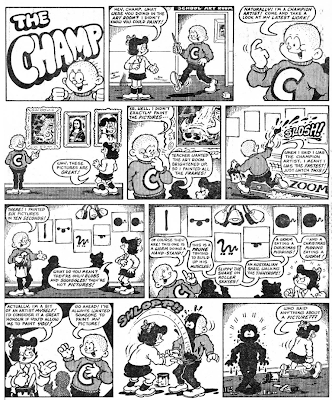 After a short history on the characters and the comics they appeared in, the books dive straight into the comic strips, showing strips from the first few issues and then randomly up until the present. 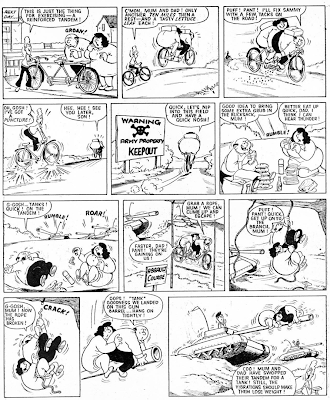 Almost all of the strips are by Dudley Watkins, who is known to be one of D C Thomson's favourite artists, but there are a few strips by some of the later illustrators too. If you do buy the books, I'm sure you'll find them both a fascinating and entertaining read. I haven't posted a review of The Phoenix for a while now, but I received the latest issue, number 67, on time and early, so why not? 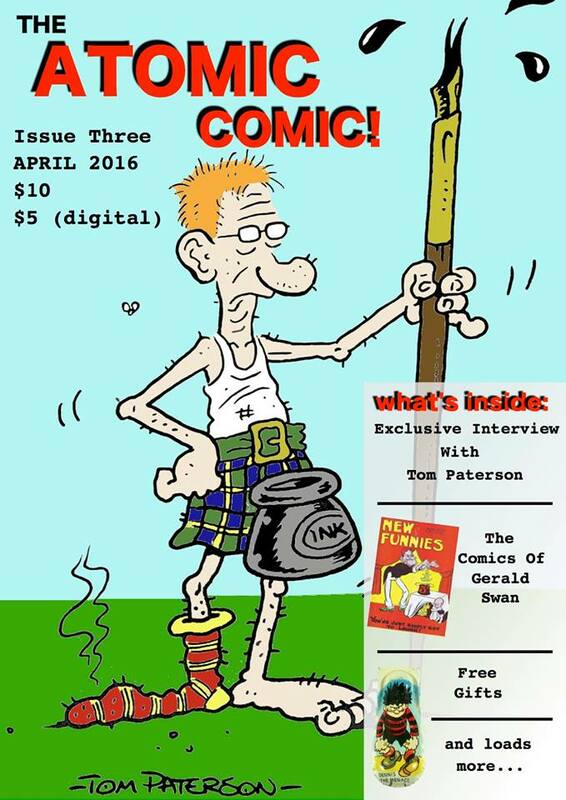 This weeks issue, shown above, has a fantastic eye catching cover by Adam Murphy, featuring Adam with his "scariest guest ever" - Vlad The Impaler, in the Corpse Talk strip! Adam also illustrated a second strip this week, entitled The Emerald Slippers. It looks like the strip has been painted by hand, but with the many amazing things Photoshop can do I just can't be sure. 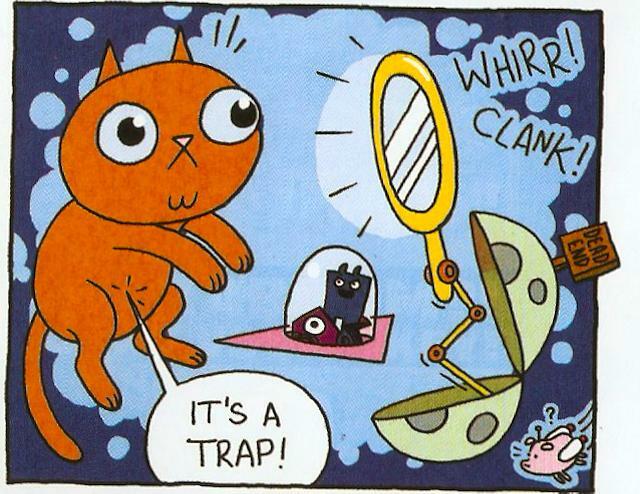 This issue also heralds the return of Blimpville, illustrated by Patrice Aggs. If you have been reading The Phoenix since it's launch back at the beginning of 2012 you might remember this strip from the very first issues. 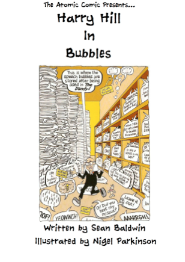 If not, what happens is each week you have to find certain things (a bit of a 'Where's Wally?' is you like), and also spot what has changed since last week. 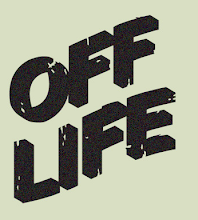 It's all a good bit of fun! 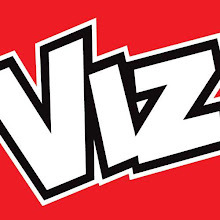 That's all I'm going to reveal from the latest issue, so if you want to find out more you'll have to grab yourself a copy from your nearest store, for £2.99. It's time once again to return to the greatest comic ever produced - Whizzer and Chips! 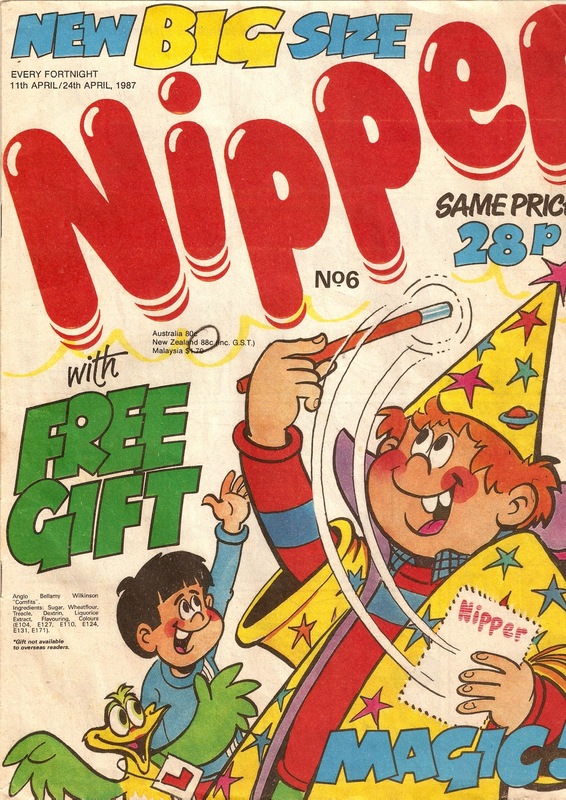 This issue went on sale this week 33 years ago in 1980, the exact cover date being 12th April 1980. 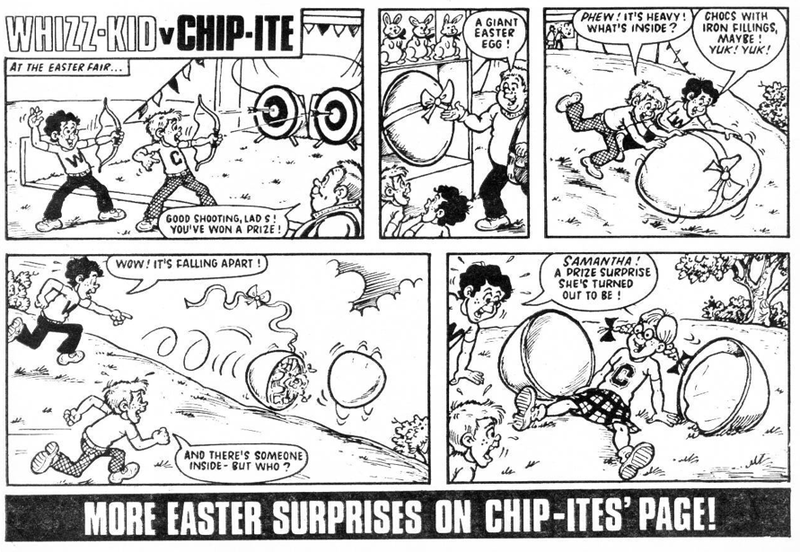 The first strip inside is Jack Edward Oliver's take on The Champ. 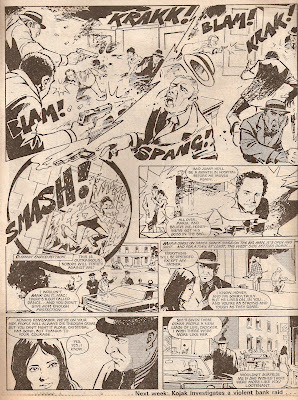 Originally illustrated by Leo Bexandale, then by Colin Whittock in a similar style, Jack's Champ was something else entirely. I'll let you judge for yourselves. 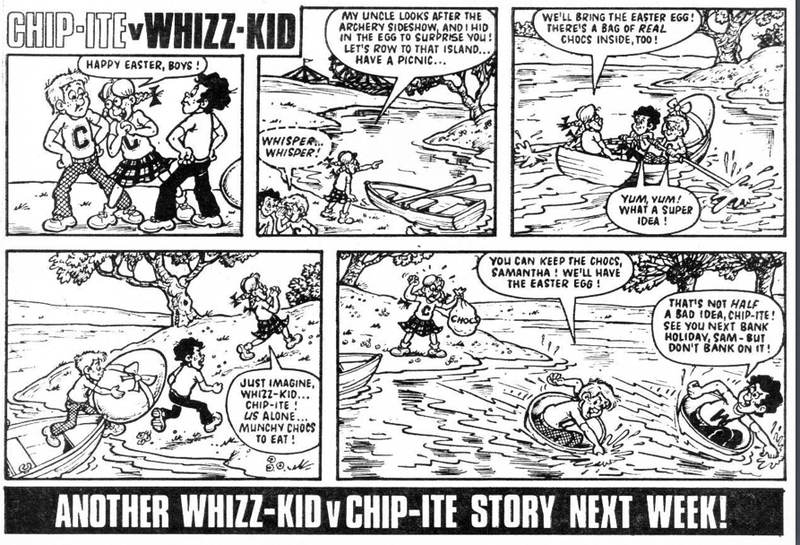 On the Whizz Kids letters page was a strip called Whizz Kids vs. Chip-ites. 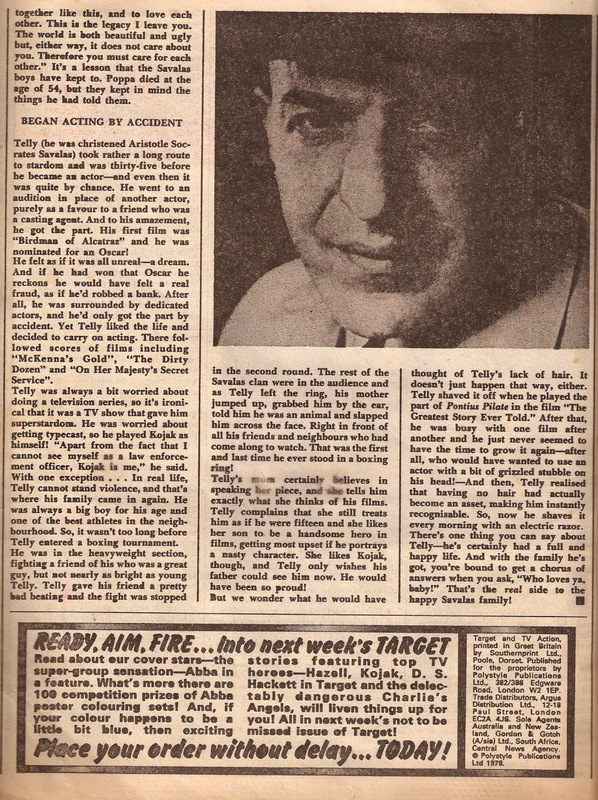 This was part one, part two appeared on the Chip-ites letters page, but I've shown both parts together for easy reading. 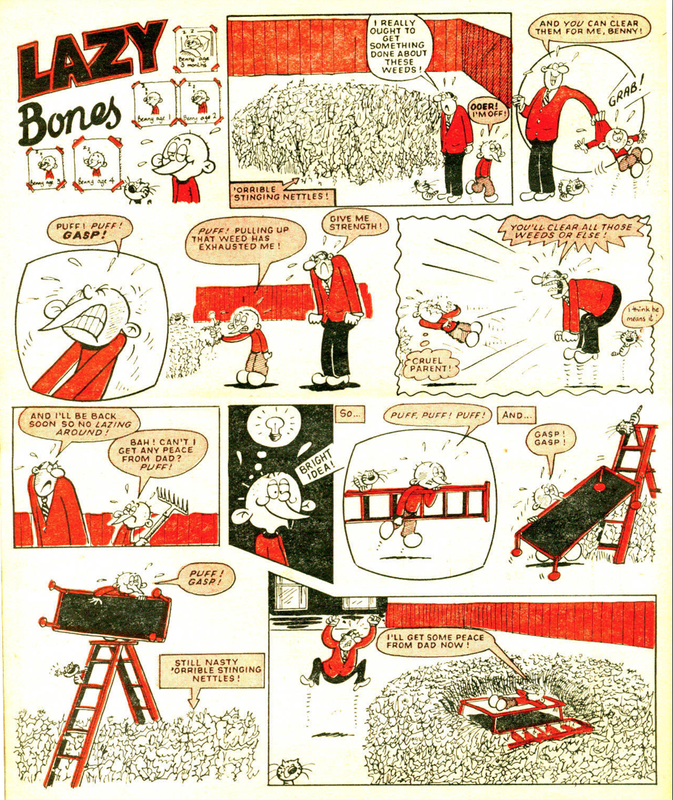 Lazy Bones is one of my favourite comic characters (up there with Sweeny Toddler and X-Ray Specs), and I couldn't imagine an artist more suited to the strip than Colin Whittock. 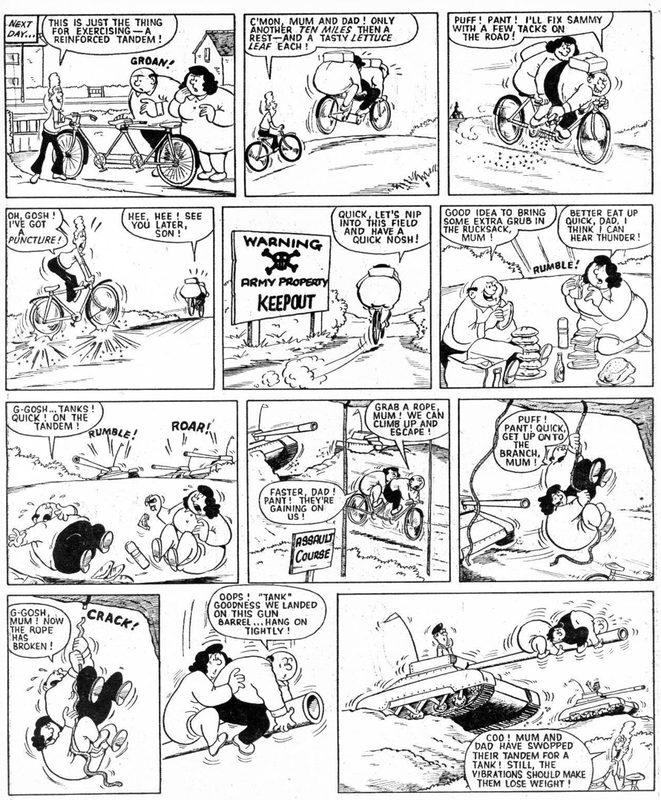 He did an amazing job of the strip over its very long run, but this isn't one of his best - it's still good though. 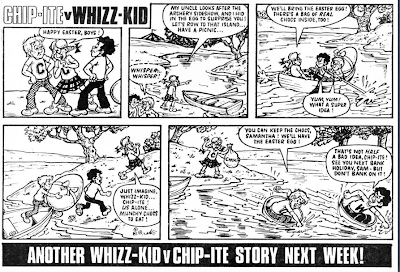 And now we move into Chips, the rival comic to Whizzer! 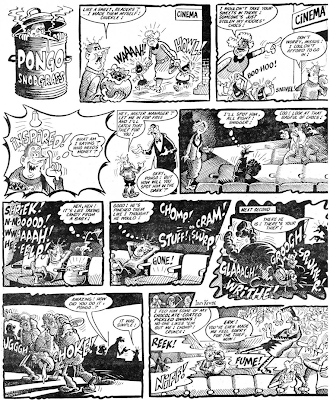 Pongo Snodgrass is a weird strip about the world's worst smelling kid, illustrated by none other than Ian Knox, who, come to think of it, drew quite a few weird strips. The Krazy Gang follows this, a great two-page adventure in brilliant Chip-ite blue. 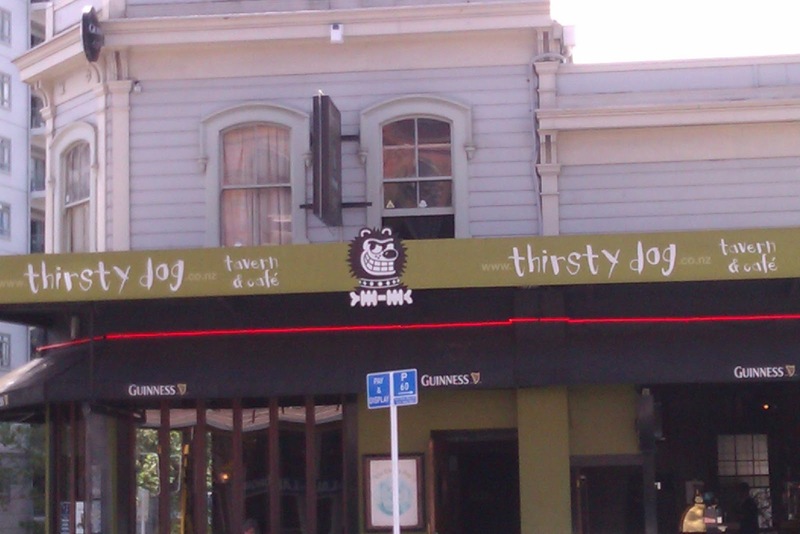 This is followed by Run Rogan Run, or Rogan Runs Again, as it was known by this point. 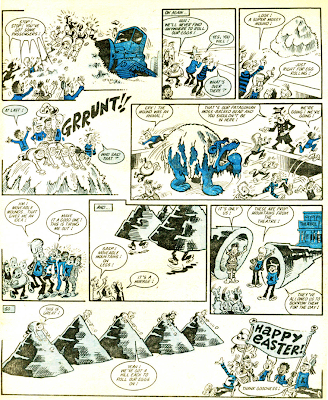 I don't know who the artist for this strip was, although this episode is signed. I can make out a 'masip 80' I think, and the 80 stands for 1980 of course, but does anybody know the artists name? 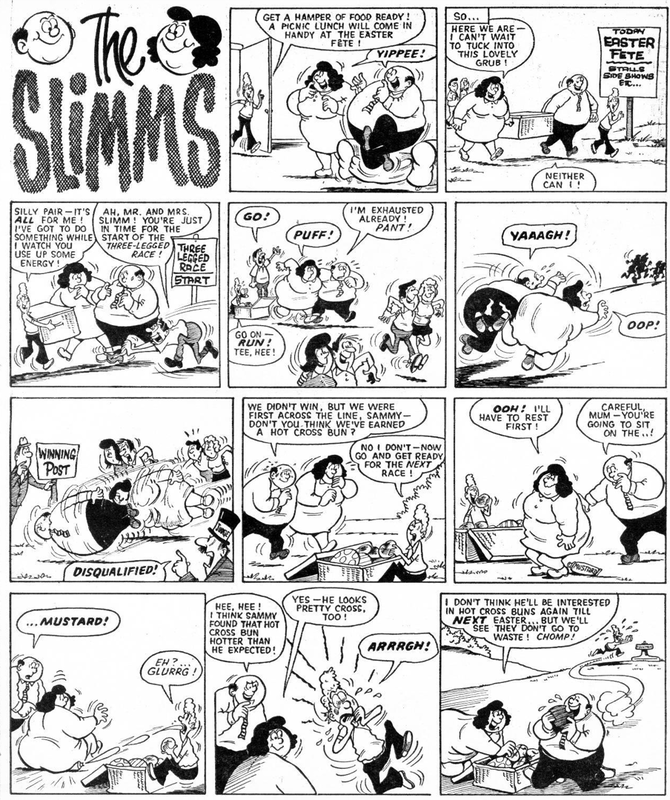 This is followed by a two-page episode of Terry Bave's politically incorrect strip The Slimms. 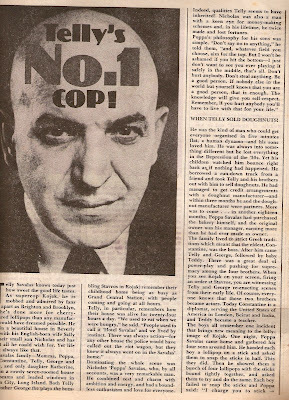 I very much doubt something like this would appear today, it would probably be deemed as inappropriate, although really it's all good humour. 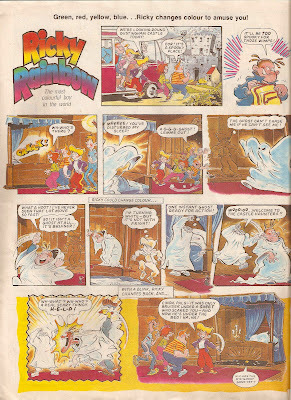 Moving back into Whizzer, and the last strip I'll show is Sid Burgon's Joker, which appeared in glorious full colour on the back page. A (Nearly) Full Size Buster Poster!